The bestselling author of Major Pettigrew's Last Stand returns with a breathtaking novel of love on the eve of World War I that reaches far beyond the small English town in which it is set. East Sussex, 1914. It is the end of England's brief Edwardian summer, and everyone agrees that the weather has never been so beautiful. Hugh Grange, down from his medical studies, is visiting his Aunt Agatha, who lives with her husband in the small, idyllic coastal town of Rye. Agatha's husband works in the Foreign Office, and she is certain he will ensure that the recent saber rattling over the Balkans won't come to anything. And Agatha has more immediate concerns; she has just risked her carefully built reputation by pushing for the appointment of a woman to replace the Latin master. 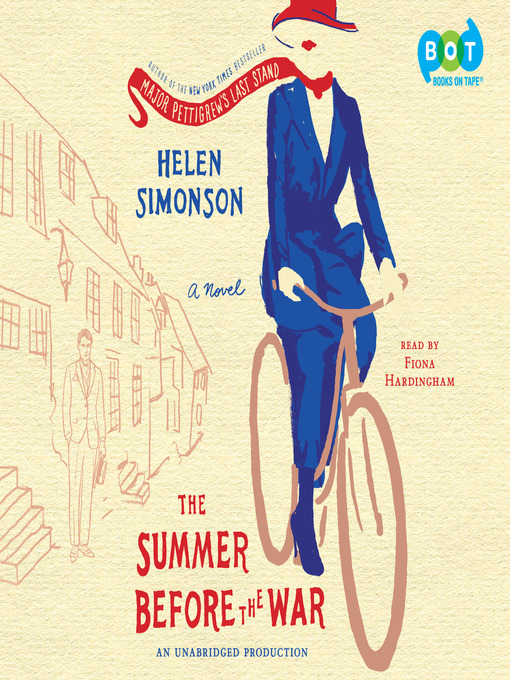 But just as Beatrice comes alive to the beauty of the Sussex landscape and the colorful characters who populate Rye, the perfect summer is about to end. For despite Agatha's reassurances, the unimaginable is coming. Soon the limits of progress, and the old ways, will be tested as this small Sussex town and its inhabitants go to war.